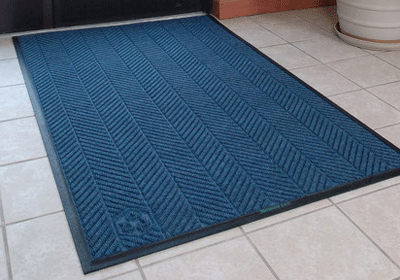 High performance in entrance mats is a necessity with the constant foot traffic day in and out. The Andersen Company specializes in making floor matting that’s built to last for years, and still maintains the ability to effectively trap dirt and moisture. A member of the Green Building Council, many Andersen products like the WaterHog Eco Elite are made out 100% post-consumer recycled materials, such as polyester and rubber. 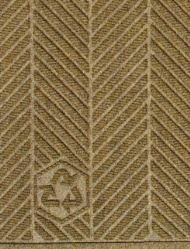 The PET fiber system that makes up the Eco Elite entrance mat dries quickly and won’t fade or rot throughout its use. 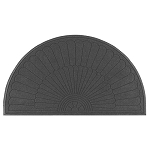 Made with a 100% SBR rubber backing that won’t crack or curl, commercial buildings can use these safety mats to avoid tripping and slipping hazards. Designed with a new herringbone pattern, the Water Hog Eco Elite also has an upscale appearance and incredible dirt and moisture trapping properties.